This paper will highlight some of the numerical modeling techniques used in weather forecasting that can be applied to improve business forecasting. Demand and weather forecasting are comparable in so much as they are both complex environments in which many variables influence the outcome. The weather community has developed many advanced modeling techniques to provide more accurate forecasts, however, it has been the advancement of computing power and technology that has held back many of these techniques from becoming operational. With the need to improve forecasts while waiting for technology to improve, several modeling methods have been developed which produce more accurate forecasts with relatively limited resources. This paper explores a technique called Model Output Statistics (MOS). It involves historically tracking how a forecast model performs compared to real results and then accounting for this deviation in future model runs (forecasts). MOS is defined as a technique used in forecasting that uses the statistical connection between a predicted variable, such as demand, and other variables that influence it, such as economic conditions, to improve forecast accuracy (Glahn & Lowry, 1972). The process flow for forecast development works for most companies in the following way: Collect sales information, Run forecast model, distribute output to relevant organizations, sales provides input for next forecast. The MOS technique fits into this process as described in Figure 1. The goal of this step is to bring high outliers down within a reasonable range (historical average + 1 standard deviation) and low outliers up within a reasonable range (historical average – 1 standard deviation). 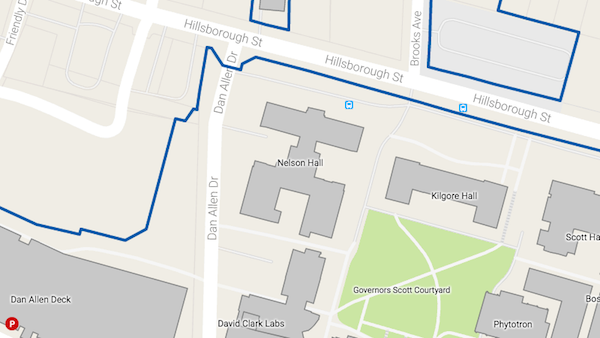 Figure 2 is a graphical representation of this. The advantages of the first technique are that it is simple and quick to implement as well as easy to automate and adjust. Some of the shortcomings with the first technique include the fact that since it is based on historical data, it will not predict radical changes in demand (uncharacteristic surges or lags in demand). Because of this weakness, this technique would be better served for less sporadic products. A second technique is available but a little more complex. The first step in this process is to run correlations on variables that might influence realized demand. This is referred to as a screening regression and more detail is provided in Bryan (1944). Once this step is completed select the top variables that correlate to demand. These variables will now be used in a multiple regression analysis. The results of this analysis will be used as an adjustment factor for the raw model output. Figure 3 shows a breakdown of these steps. The advantages of the second technique are that it is very flexible, versatile, and can pick up on sudden uncharacteristic changes in demand. On the flip side, the negatives include the fact that it is more complex and will require constant updating (as new variables influence demand). The MOS technique is a way to prevent high and low outlier results from impacting business operations. There are two techniques in which this filter can be applied to raw model output. The first way incorporates historical averages and standard deviations and is best used for mature products. The second way involves identifying large demand influencers and developing a correction factor for model output through the use of a multiple regression analysis. This technique is better for products susceptible to significant surges and lags in demand. Glahn, H. R., & Lowry, D. A. (1972). 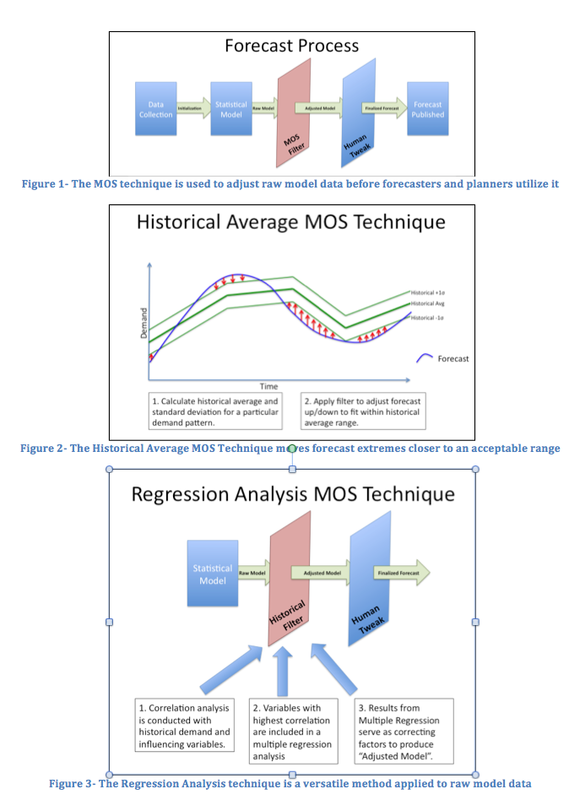 The use of model output statistics (mos) in objective weather forecasting. Journal of Applied Meteorology, 11, 1203-1211.